The Best Driving Instruction Book Ever Golf's mantra used to be pound it and then go find it. Today, the name of the game is pounding it even farther but with the precision normally associated with wedge shots and putts. Tour professionals raise the driving bar higher and higher every season with these long-ranging, fairway-finding missiles, but most amateurs fail to even sniff their true distance and accuracy potential. Until now. Featuring the most elite team of teachers in America, including a superstar set that's guiding the longest and most accurate drivers on all professional tours, GOLF Magazine's The Best Driving Instruction Book Ever! Provides everything recreational players need to add big-time yards to their tee shots with swing moves and positions anyone can master, plus a few new ticks that add eye-popping speed almost overnight. In it readers will learn how to tweak their gear to get the most yards out of their motions, mechanics for building power without swinging harder, and the end-all, be-all method for matching their driver swing to what their body can muster so they can finally realize their true distance potential and split the fairway every time. Lessons in GOLF Magazine's The Best Driving Instruction Book Ever! Are complemented by 400+ full-color photos that make each tip easy to comprehend, practice and put into play, as well as a DVD to see the lessons come to life. Like the rest of the Best Instruction series, Driving is also backed by years of experience with the award-winning instruction readers can only find in GOLF Magazine. With it any player can learn to muscle it past their buddies and bring long holes easily into range for more birdie opportunities. Understanding the Golf Swing will show you a different, simpler approach to the golf swing. Manuel de la Torre, twice named by Golf Magazine as one of the top 100 golf instructors in America is the leading modern day proponent of Ernest Jones’ Swing Principles method of golf instruction. The book includes a passionate Foreword by Carol Mann, Member LPGA, Hall of Fame. The de la Torre (and Jones) system presents a simpler approach to the golf swing, the emphasis being on the development of a true swinging motion, devoid of energy robbing leverage. In this view, “if the club is used properly the body movements take care of themselves.” This simple statement has the power to bring aobut profound improvements in your game. While presenting a simpler approach to the golf swing, the book is also a comprehensive resource for all levels of golfer, from the beginner to the professional. It includes: • The most thorough analysis of ball flights found in any golf instructional book. • Detailed discussion of special shot play, including sand play, pitching, chipping, putting, and playing unusual shots. • Coverage of the mental site of golf, effective course management, and a formula for taking your best practice tee shots to the golf course. 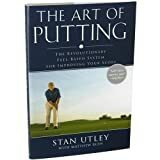 For the first time in paperback, this modern classic of golf instruction by renowned teacher Manuel de la Torre (the 1986 PGA Teacher of the Year and the #11 teacher in America as ranked by the editors of Golf Digest in 2007) presents a simpler approach to the golf swing based on Ernest Jones’ principles. Understanding the Golf Swing includes information on the philosophy of the golf swing (with emphasis on the development of a true swinging motion), the most thorough analysis of ball flights available, and analysis of the principles of special shot play (including sand play, pitching, chipping, putting, and playing unusual shots) and the mental side of golf and effective course management. The final chapter offers an organized approach to understanding golf courses and playing conditions. The result is a blend of philosophy and practical advice found in few golf instructional books.Skyhorse Publishing, as well as our Sports Publishing imprint, is proud to publish a broad range of books for readers interested in sportsbooks about baseball, pro football, college football, pro and college basketball, hockey, or soccer, we have a book about your sport or your team.In addition to books on popular team sports, we also publish books for a wide variety of athletes and sports enthusiasts, including books on running, cycling, horseback riding, swimming, tennis, martial arts, golf, camping, hiking, aviation, boating, and so much more. While not every title we publish becomes a New York Times bestseller or a national bestseller, we are committed to publishing books on subjects that are sometimes overlooked by other publishers and to authors whose work might not otherwise find a home.